You never think you’re going to be the next Edward Snowden. But then it happens. The evening started off so innocently. After a trip to Popeye’s, I returned to a group of friends who were huddled around a television, preparing to watch American Ninja Warrior: USA vs. Japan. I was a longtime fan of the series, as well as the original, Sasuke. There was nothing I’d rather be watching over a four-piece with red beans and rice. As we watched Sochi-related commercials before the show began, it was clear this was a clever programming idea for NBC, the official network of the 2014 Olympic Games. The network was getting us in the “Olympic spirit” (nationalism with a dash of xenophobia, by way of athletics), even if it was in the form of Ninja Warrior. 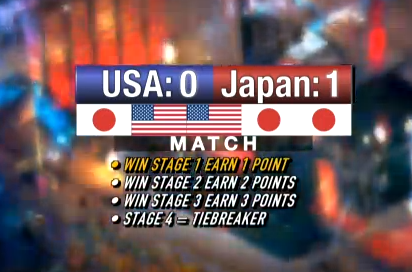 I playfully chanted “U-S-A, U-S-A” as the opening credits ran, partially because I wanted to win, but mainly because the U.S. was going against Japan in Ninja Warrior, and it was clear defeat was just around the corner. Before I blow the whistle on the ensuing controversy, here are 17 things you need to know about the episode. 1. 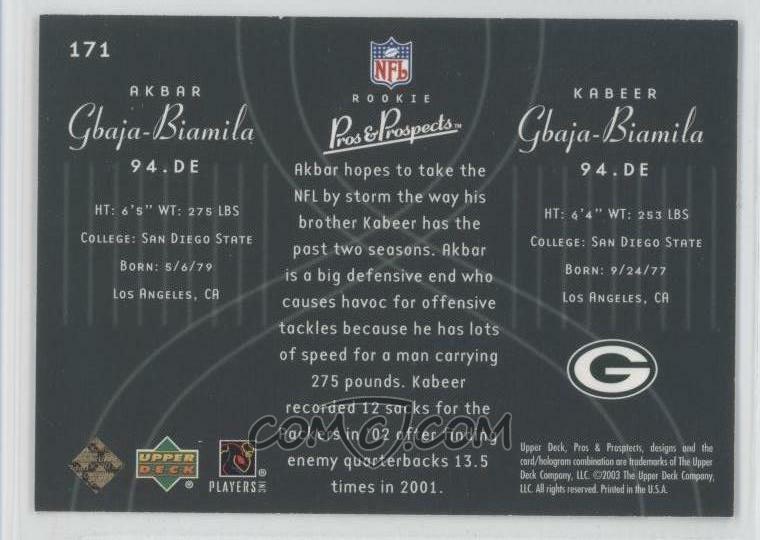 One of the hosts is Akbar Gbaja-Biamila, younger brother of Packers great Kabeer. 2. There are four rounds. 3. Stage 1 is worth one point. 4. Stage 2 is worth two points. 5. Stage 3 is worth three points. 6. If the score is tied after the three stages, there’s a tiebreaker stage. 7. Yes, even in the explanatory simulation, they have Japan winning. 8. Each team has five players. 9. One of Japan’s players is two-time Grand Champion Yuuji Urushihara, the only person to achieve “Total Victory” twice. 10. Each stage is composed of five head-to-head matchups, and the country to win three out of five wins the stage. 11. 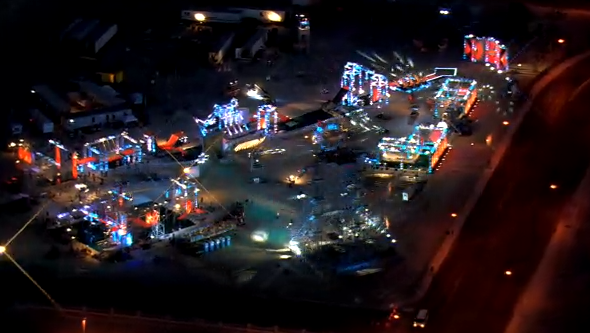 This is all taking place in Las Vegas. 12. This is the first team competition in American Ninja Warrior history. 13. Sample professions for the Japanese team: gardener, car mechanic, shoe salesman. 14. Sample professions for Team USA: professional Ninja Warrior Athlete, professional Obstacle Course Trainer. 16. At first it seemed like the game wasn’t rigged. 17. But then it was clear the game was rigged. Again, I love America. I’d hate to be brought up on counts of treason in this, the 2,014th birthday of the United States of America, but sometimes you see something. And then you have no choice but to say something. American Ninja Warrior: USA vs. Japan wasn’t what it seemed. The word “rigged” is pretty charged, but it’s the only way to describe the shenanigans that took place during the two-hour special. Do I know exactly what happened? No, but my findings have zeroed in on two theories: (1) It was all staged, which is misleading to the viewers, or (2) certain things were done to make sure the Japanese team lost. Oh yeah, that “Japanese team lost” detail is important. USA won. They won American Ninja Warrior: USA vs. Japan. They won American Ninja Warrior: USA vs. Japan by way of a skunk, 6-0. And they won American Ninja Warrior: USA vs. Japan by way of a 6-0 skunk, on NBC, three weeks before the Sochi Olympics. Which will be on NBC. Even when it briefly appeared the game was rigged for drama, the comeback never happened. Sure, that would have been great television, but this event wasn’t about television. It was about America. As I thought about the way Team USA dominated Japan, I had an epiphany. The underdog talk … even the graphic showing Japan winning a stage. In your head, you couldn’t help but think it would take a miracle for Team USA to come out victorious on home soil. The pieces were falling into place. I felt like Jim Carrey toward the end of The Truman Show, almost everything was finally beginning to make sense. But how did it all happen? Why did the Japanese team fall in the water so much, always minutes before they were supposed to. They were putting up embarrassing results, across the board, while the Team USA posted uncharacteristically dominant performances. Was it just Team USA’s day? Or was there some funny business going on? Meddling kids, perhaps? Stickum, maybe? POISON? I don’t know … yet. But I do know that it was something. And, in classic American fashion, instead of being subtle about it, we bullied our way to victory, without any fear of repercussion. It’s like the classic case when someone in high school tries to cheat on a test. But instead of being slick about it, purposefully missing a few answers, the cheater gets a perfect score. That’s what it was like watching USA beat Japan. But again, I come to you without any hard evidence. The reactions by the Japanese team when they faltered, time and time again, seemed genuine enough to prove they were in on it. Their failure to complete midlevel ninja feats, when their norm was expert-level final boss ninja feats, left them confused, occasionally violent toward the water, sometimes crying, and often looking out onto the Luxor-lit darkness in disbelief. I’m not suggesting Team USA is on that A-Rod. I never said that. The interesting part in all this is that I left the two-hour so-called “prideful” event with a lump of American guilt in my stomach. The network’s ploy of getting me all patriotic with this rigged blowout somehow now made me feel like a bully. I walked out of that house feeling bad for the Japanese team, one that flew all the way here (jet lag, another way we got them), only to jump from platform to platform, not knowing they were probably covered in Crisco. Again, I don’t know if they actually used Crisco. But I know what I saw. And so did Facebook commenter Erin Green. So it’s not just me, folks. Facebook commenter Erin Green is the Pam to my Michael, and this whistle blow is the Michael Scott Paper Company. And the passion Erin has, in conjunction with her clearly outlined knowledge of the sport, makes the ruse so clear. I, too, will never be convinced. Join our movement. The revolution will be Facebook commented.